Forbes Israel is Israel’s leading monthly business magazine, reaching all the influential households all over the country. 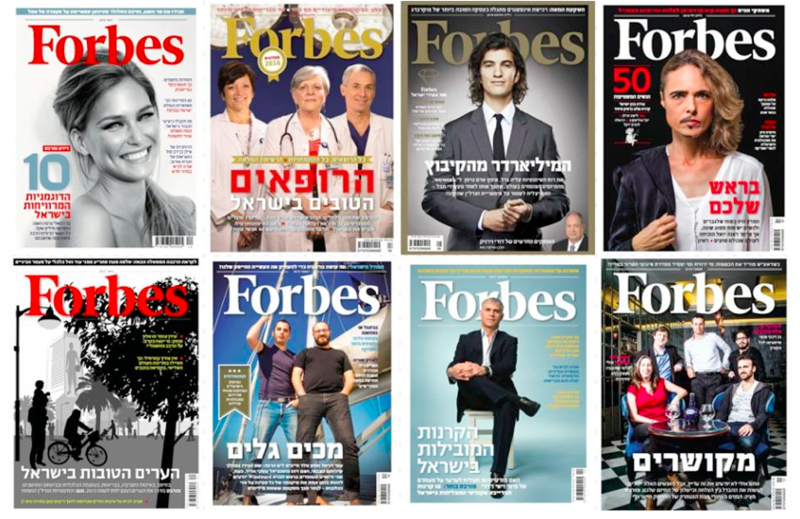 Alongside the unique financial, business and lifestyle content from the International Forbes magazines, translated to Hebrew, Forbes Israel specializes in in-depth analysis and research, as well as special rankings. 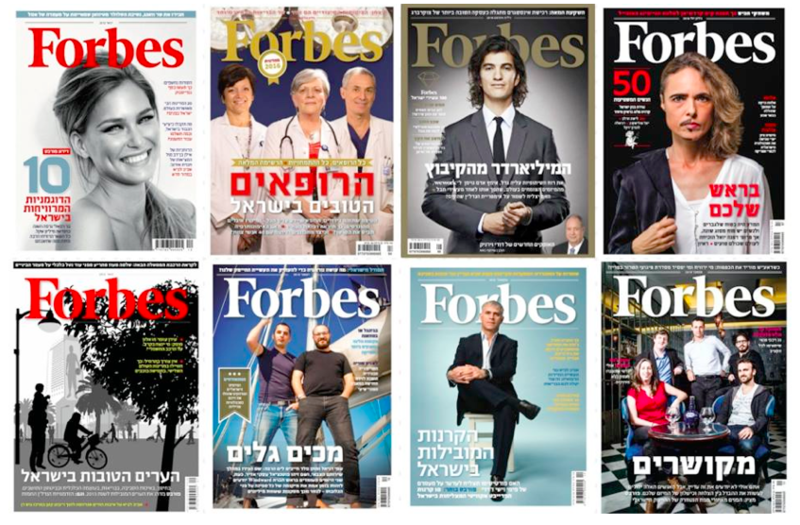 Forbes Israel is sold to paying subscribers and on the newsstands. Forbes main audience consists of all of Israel’s financial experts, as well as thousands of Israel’s most wealthy and influential households. The magazine is also distributed through banks, investment banks and credit card companies to their “Platinum Club” members, and is found in business lounges in Israel’s international airport, and business and first class department at ELAL, Israel’s leading flight company. Forbes Israel’s site – www.forbes.co.il – became very popular since its launch during 2012, and is available also in mobile versions (iOs and Android).